I bought an original Red/White Famicom, which I have not modded, and I haven't bought a FDS for it yet, but after seeing that the Twin Famis are a nice all in one unit, I was curious if those are a good system worth purchasing, they look pretty good, and I was just curious how well they are in picture quality, etc? I've been considering it, because by the time I paid to have my Fami AV modded and then bought an FDS, I could probably find a Twin Fami for about the time price (may just consider selling my red/white Fami for money towards buying a Twin if it's worth it). My main question is, would it be worth it to purchase one, and are they a reliable console with decent quality (not worried about replacing FDS belts, etc, from what I've seen in videos,etc that would be pretty easy to do)? I've seen mixed opinions on them, so that is why I am curious. Re: Considering a Twin Famicom. 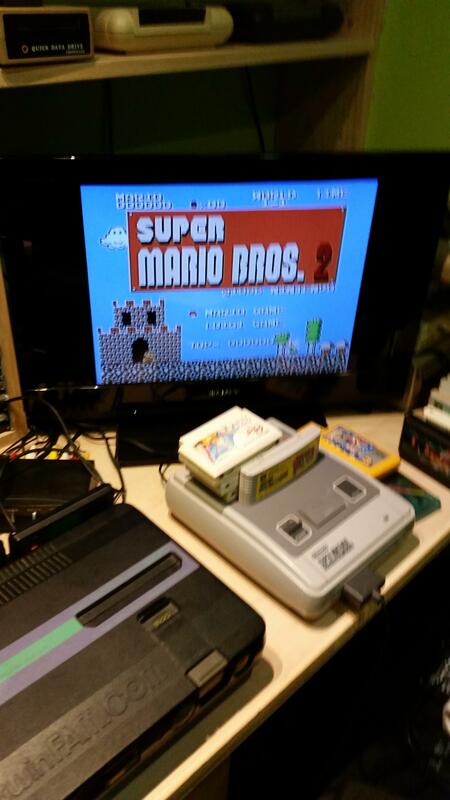 I like the Twin Famicom because it is a great all-in-one console for cartridges,disks, and AV output. It's easier to set up and you will have less wires behind the console. I personally like the red colored AN-500R model. It's built well and I think it is worth the price. 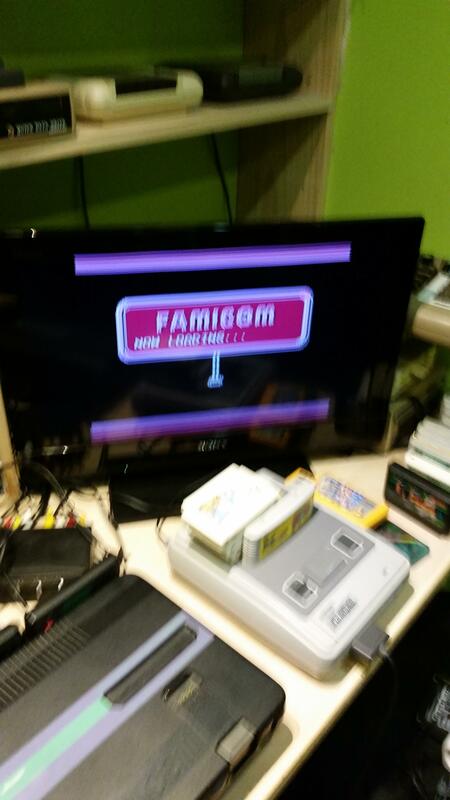 The Twin Famicom is pretty great, across the board. 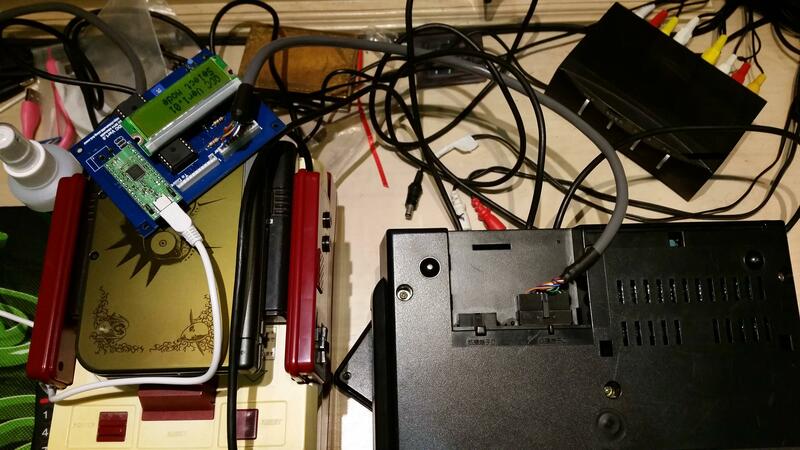 It allows for an AV connection, negating the issues with the Famicom's RF. It's an all-in-one system, so you don't have cables and cords going every which way. Plus, you can choose from three different color schemes, none of which are "used to be white but now closer to orange". The only disadvantage I see is that you can't use the built-in RAM Adapter with FDSloadr or FDSStick without modding. But you could always get a cheap loose RAM Adapter for that to avoid soldering. Kore ga Family Computer da! You can make a cable to access the inbuilt 'RAM Adapter' from the rear extension ports. The only issue i've seen with mine is that the drive is slightly louder than the FDS standalone unit. Other than that it's a fantastic console and 100% worth it. Everything I've heard sounds good so far, I may have to get one, what's the average price on the models/colors nowadays? I know the normal red version I've seen around 160$ and then I know there is a turbo model too isn't there? Is there any difference in durability and picture quality between the models, also I've heard some can have jail-bars, but how common is that usually? @Arkanix38: What's that DQC? What does it do? Looks interesting! Thanks for the input, definitely going to have to invest in a Twin when I have the extra money to grab one up. Whats the rarity of the Turbo model, just out of curiosity, do they range about the same price-wise or is the Turbo a bit more uncommon? This says you're looking around $95-130 for a loose system and about $100-150 for a boxed one. Keep an eye out and look for deals on the Buy and Sell Board. Not sure about the rarity but i'm fairly sure the Red Non-Turbo is the hardest to find (please feel free to correct me). Hm, average prices I've gotten/seen were 160-200 or more for just the console, maybe the prices went up some. I'm guessing since they have the AV connection, that they probably don't suffer from jail-bars like the original red/white fami does? Greatly appreciate all the info though, and I'll have to keep an eye out for a good deal, in no rush at the moment anyway.